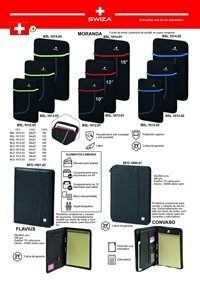 Neoprene sleeves for laptops, and professional portfolios. 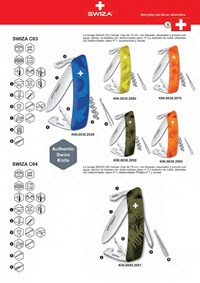 portable protective case in soft neoprene. 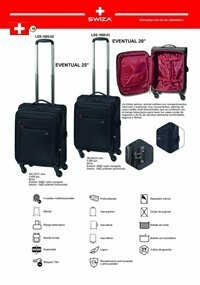 Suitcases for everyday use in the office, or for short trips. 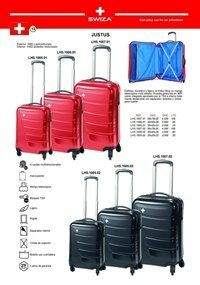 Multi-functional trolley bag, excellent for daily or business use. 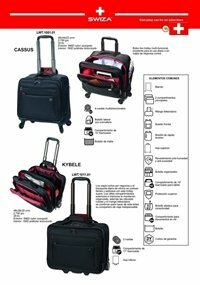 Durable and lightweight suitcases with integrated closure approved by the TSA. 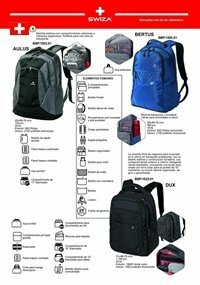 Backpacks with different compartments for various uses. 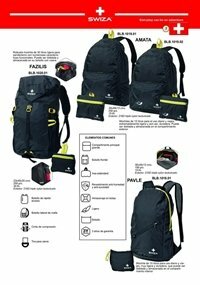 multifunctional backpack with two large inner compartments. 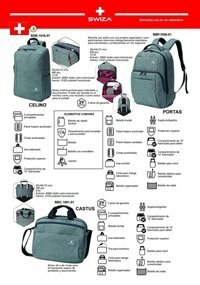 Backpack with spacious exterior and interior compartments. 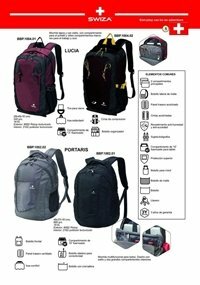 Backpacks and laptop cases for students and business professionals. 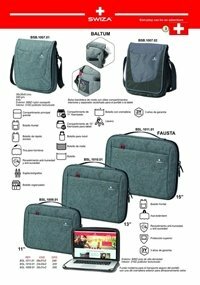 Bag useful for the safe transport of laptops and documents. 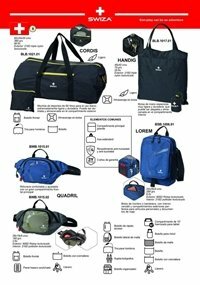 Shoulder bags with various inner compartments, and laptop cases. 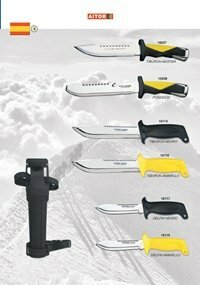 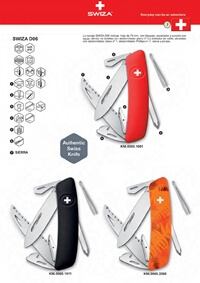 Swiss multi-tool pocket knives, easily accessible due to its ergonomic shape, secure grip and soft touch. 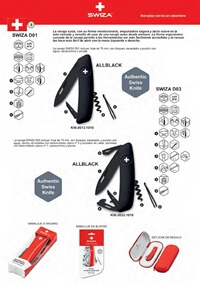 Swiza is a casual lifestyle brand with authentic Swiss style for people on-the-go, whose mission is to provide easy solutions for the daily adventures of people of all ages in all places at a great value. 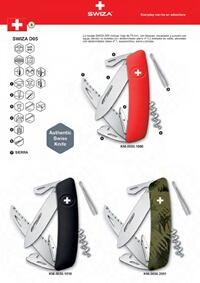 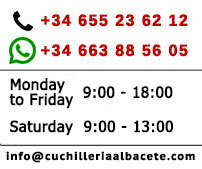 Easy to use, reliable, attractive, practical, their products aim to be a reflection of 21st-century Switzerland. 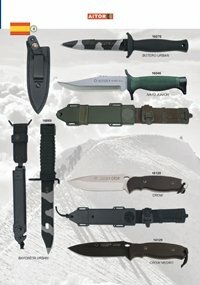 Their pocket knives are no exception. 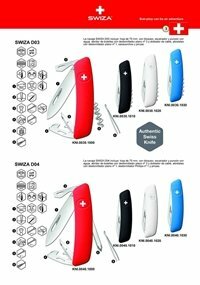 The SWIZA Swiss Knife is one of this 2016's outstanding products: The Red Dot jury was enthused, and awarded SWIZA a Red Dot: Best of the Best. 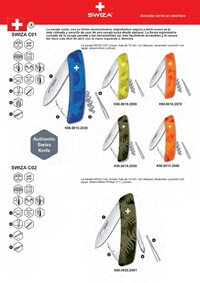 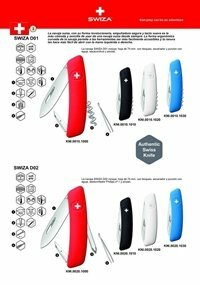 The Swiss Knife impressed with highest design quality and makes SWIZA one of the leaders in an international comparison.